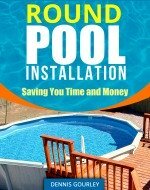 We had a 24x54 round pool installed yesterday by professional's and I noticed (thought about it today) they didn't put pavers under any of the support post, is that ok? Hi Michelle Here in Arizona we seldom use pavers also. It depends on how large the footplates are and how solid the ground is. We laser level every footplate perfect and never have leveling issues. The most important thing, once the pool is full, is to check the water level. Measure from the top rail to the top of the water all the way around the pool. If that all reads within an inch you should be fine. If not you may want to call the installers back out to check it, you should be well withing an inch. Keep an eye on the pool level over time, it should always stay the same. Ir settling does start to occur it should be obvious and indicate some correction may be needed. Not having blocks in itself is not a problem because it just depends.